I am using the Journo with a page based on Jorunn, and I have no need for the weather widget in the top bar. So I removed it from the Header Top Bar Right Column but the empty black bar remains. Can you please point me to how to disable that element? Welcome to your support management and thanks for choosing Journo! 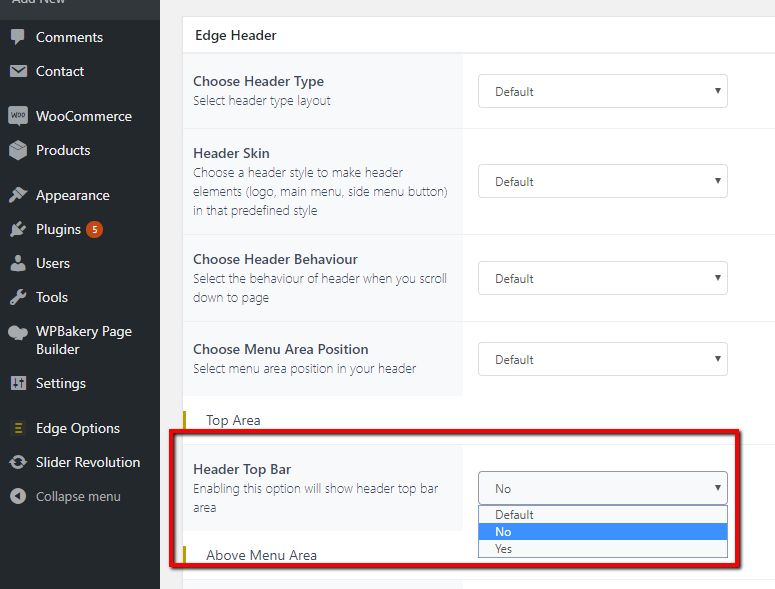 Please navigate to Edge Options > Header and disable Top Bar. Also note that these are Global Options. 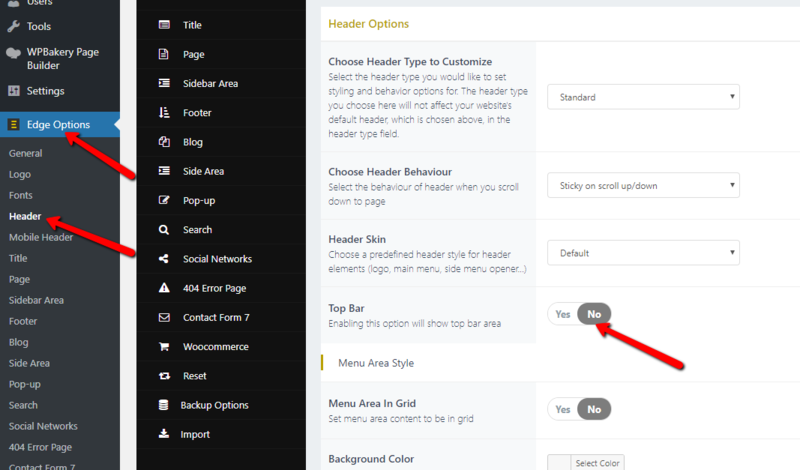 And each page has the same option from above, and if set on the page, it will override Global Options.